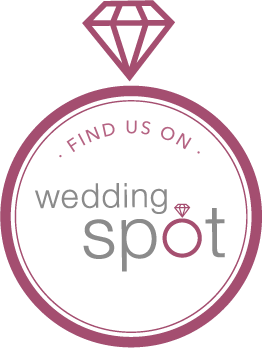 The Award Winning Wedding Venue offers many flexible choices for your ceremony and reception. Your guests will enjoy exploring over 2 acres of unique oasis, inviting patios and gardens. The venue accommodates only one event in a day, so your celebration will get all the special attention it deserves! Minutes away from the fabulous Las Vegas Strip in Las Vegas. The Venue is an ideal natural outdoor setting, of historic heritage preservation, for Traditional Weddings! The Sunken Courtyard features a stunning Garden area encompassed by a white river rock border exhibiting beautiful vine beds, and abundant shade from mature Pine & Mulberry Trees.. Seat up to 200 guests to tie the knot, or feature a Romantic Reception for up to 150 guests. The space surrounds guests with lush greenery, brick staircases, winding walkways and endless charm; a photographer’s dream. The Remington Patio is a scene set for a Picturesque Ceremony surrounded by thick green grass landscaping, shade Trees, river rock walls and cascading rosemary beds, with life-sized Southwestern bronze art fromFredrick Remington and Carl Kauba. Ceremonies take place under a large shady China berry Tree, awaiting the Bride and Groom. Hillside amphitheater style seating can accommodate 150, as they witness the Bride cascading down a winding red brick staircase to her Groom, as they stroll together into the Book of Love.. The Gravel Commons is a vast customizable space is surrounded by barns and authentic equestrian detail.. Plan a reception for up to 150 guests or a open air ceremony or cocktail hour.. The Commons also features a rustic stage elevated above your guests. Sunlight floods the commons, a perfect scene for capturing the blissful moments. Add Bistro lights for an ambient touch under the evening sky. Utilize nearby barn stalls for a fun photo booth or bar for the rustic fun of it! The Legends Stage is the ideal spot to elevate the Bride and Groom above their guests for a charming ceremony, or for your Sweetheart Table, as you dine in the limelight! Several Award Winning talents gracing the Stage, including the Righteous Brothers, Dolly Parton & Kenny Rogers, and Legends Preferred Country and American Rock Band, “Without A Hitch”! The Red Barn offers a Grade A Kentucky Style barn for an equestrian theme or in case of inclement weather, for up to 150 guests. A unique and sturdy facility that can turn any portion of your event into a barn style hit! The Bridal Suite enamors you with Vintage Rustic Elegant appeal, plush french country design furnishings, & a spacious powder room. Mirrored walls and private stairwell patio with coach light accents, the suite grants space & sanctuary to the bridesmaids & Bridal Queen! The Groom Room features a masculine and equestrian theme where Groomsmen assemble themselves and enjoy each other’s company, with an “Outdoors Inn” flair. Residing a distance from the Bridal Suite… It assists couples wishing to celebrate the Tradition of “no peeking” before the ceremony! The Pool Deck adjacent to the Sunken Garden Courtyard dazzles you with 5 fountains, classic red brick patio and a rustic Gazebo, befitting for a solo artist during cocktail hour.